There's a new Call of Duty set to release later this year, but before that, it was time for Call of Duty: WWII to crown its champion. 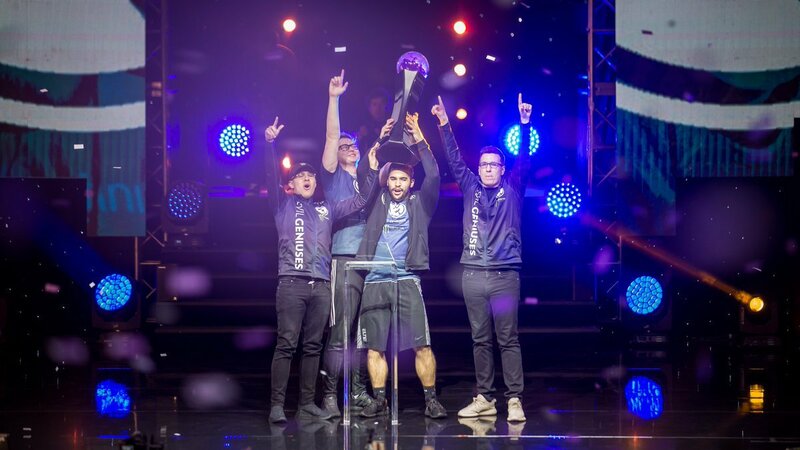 That champion was one that fans of the CoD scene weren't quite expecting, as Evil Geniuses survived a scare from Team Kaliber to sweep the second Grand Finals set 3-0 and claim and the championship. Team Kaliber certainly did not make this easy for EG. After EG went up 2-0 in the first Grand Finals set, TK rallied and pulled out consecutive wins on Flak Tower (Capture the Flag), London Docks (Hardpoint), and Sainte Marie due Mont (Search & Destroy) to reverse sweep the series and reset the bracket. Evil Geniuses settled down from there and didn't look back. With convincing wins on London Docks (Hardpoint) and Ardennes Forest (Search & Destroy), EG had another chance to wrap up the tournament on Flak Tower (Capture the Flag). They didn't waste this opportunity, as Justin "Silly" Fargo-Palmer led the way with key captures and a 22/16 kill/death ratio to capture the championship for Evil Geniuses. Getting to this point wasn't always a sure thing for Evil Geniuses. This was briefly touched on during Friday's This Weekend in Esports feature, but it was EG who survived against OpTic Gaming to send one of the Call of Duty's historically great franchises home, stunning the perennial CoD powerhouse with a 3-0 sweep. For Evil Geniuses, this marks their first Call of Duty championship as an organization. It also marks the second championships for Patrick "Aches" Price and Bryan "Apathy" Zhelyazkov. For their victory, Evil Geniuses takes home $600,000 out of the $1.5 million prize pool. Keep the momentum going for TI!